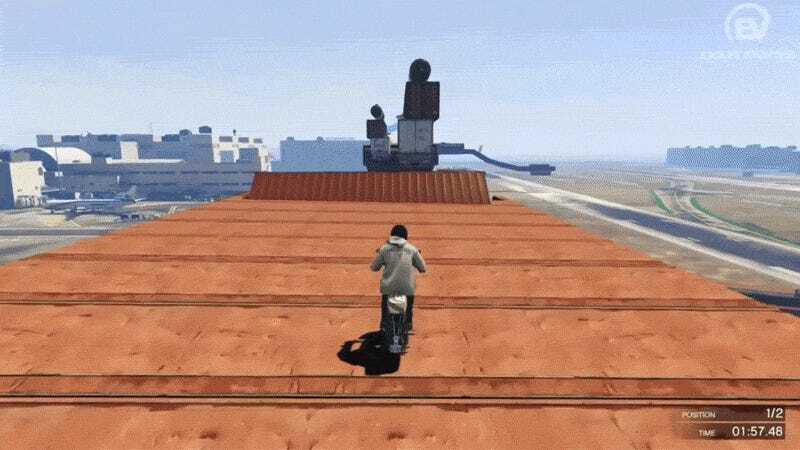 The Enduro bike isn’t the only suitable vehicle in GTA V for wild custom stunt maps. The Vespa bike might be sluggish, but when handled correctly it’s a good choice for parkour maps as well. This is Dark Stunter, showing his skills and sliding through a pretty technical scooter trial, in record time.